Regardless of the groundhog and his shadow, we are guaranteed another six weeks of winter here in Montana. We’re “celebrating” by slashing all wools by 25%, February 1-3. Time to do a happy dance, despite the Polar Vortex! Wool is hair. It curls and straightens the same as human hair. You can iron it straight or into a fold. 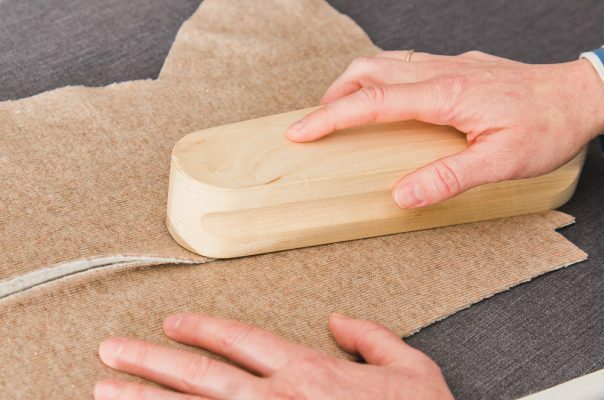 When you re-wet it, wool will return to its natural state, just like your hair does. Wool is not COMPLETELY perfect. It does need to be hand-washed or dry-cleaned, moths love to eat it, and it pills. Here at The Confident Stitch, we group our wools into four main types. They each have their own idiosyncrasies, just like different types of human hair do. Wool Challis is lightweight and drapes beautifully, but it doesn’t hold a pleat, so it’s best for skirts, dresses and scarves. It will scorch, so after steaming it a little, let it cool under a clapper. 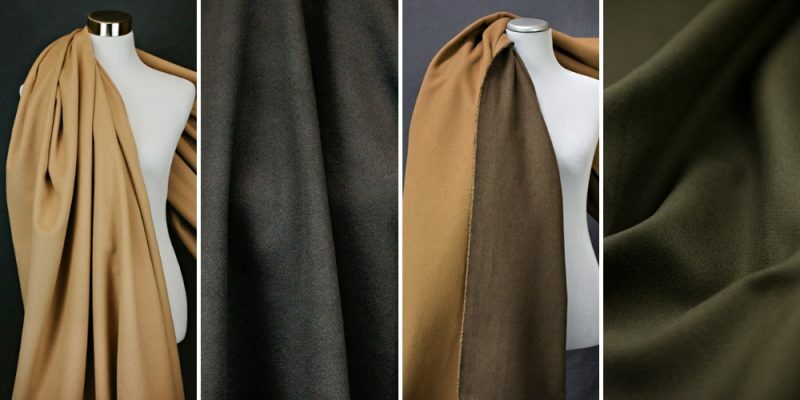 Click on the name to see each of our wool challis(es): Super 150 in Grey; Extra Fine Merino in Charcoal; Wool with Lycra in Brown; Pant-Weight in Tan; Challis in Dark Sage. Wool Melton is heavy and can get bulky. 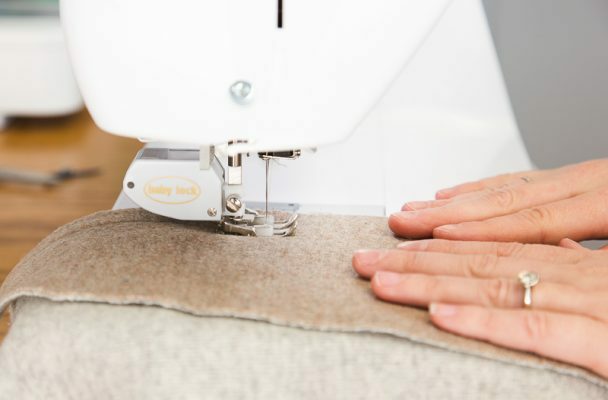 Using a walking foot will help it slide through your sewing machine. 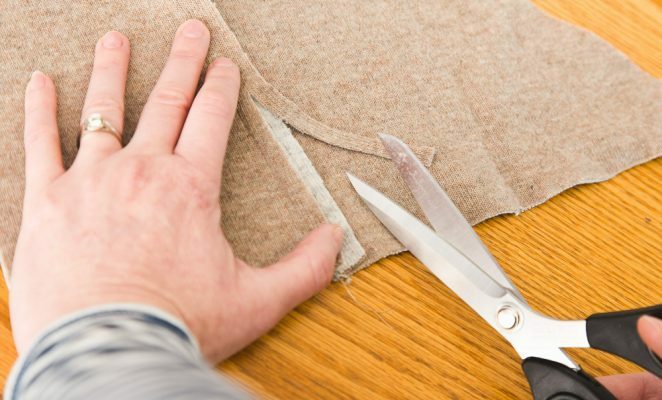 You should avoid doubling it with design elements like darts, and be sure to grade your seams. Since wool coating doesn’t fray, it’s perfect for lapped seams that reduce bulk. A clapper will help heavy wool keep a press. Click here to see all our coat-weight wools. Our Wool Knits don’t stretch lengthwise, and only stretch a little width-wise. They are quite thick, and so they behave like wool coating. 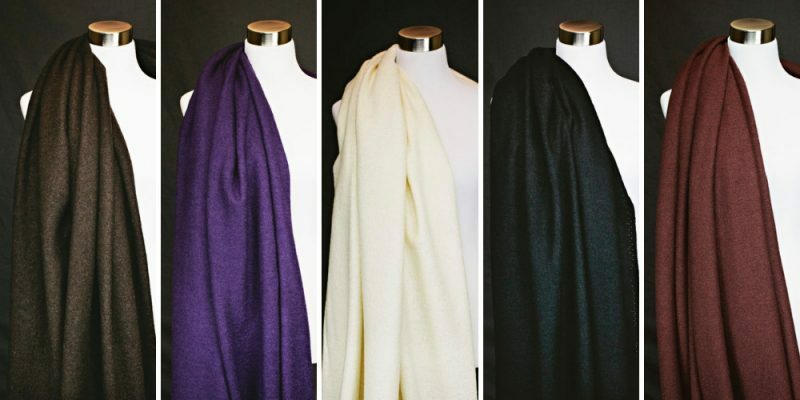 With nine colors, our Lana Bollito wool/rayon blends make great coats, sweaters, and skirts. They fall away from the body in soft cones. Our double-faced 100 percent wools are two layers of wool knit fused together. They are pretty stiff and very warm. See all our thick wool knits here. Finally, we have a couple of Tissue-Weight Wool Knits. They are softer and stretchier than the thick wool knits. They are also kinda transparent, so they’re best for cardigans and scarves. They press like a dream, but don’t use too much heat. Here are our Black with Swirls and Sheer Wool Knit in Black. You know another Polar Vortex is coming. Get ready by stocking up on wools! This entry was posted in Know Your Fabric and tagged sewing with wool.